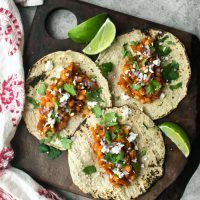 Spicy white bean tacos that uses an easy chipotle tomato sauce to warm the white beans- easily vegan when the cheese is left out! Thinly slice onions and garlic. Heat olive oil in a medium skillet and add the onion. Saute for 4 to 6 minutes, until translucent and fragrant. Add the garlic and cook for another couple of minutes, until garlic is browning. Transfer half the onion mixture to a food processor and add the stewed tomatoes, chipotles, oregano, and salt. Puree until mostly smooth. Add the beans to the pan with the remaining onions. Saute over medium heat for a minute or two, just to warm the beans. Stir in the chipotle sauce and continue to cook until the sauce thickens slightly, 4 to 5 minutes. 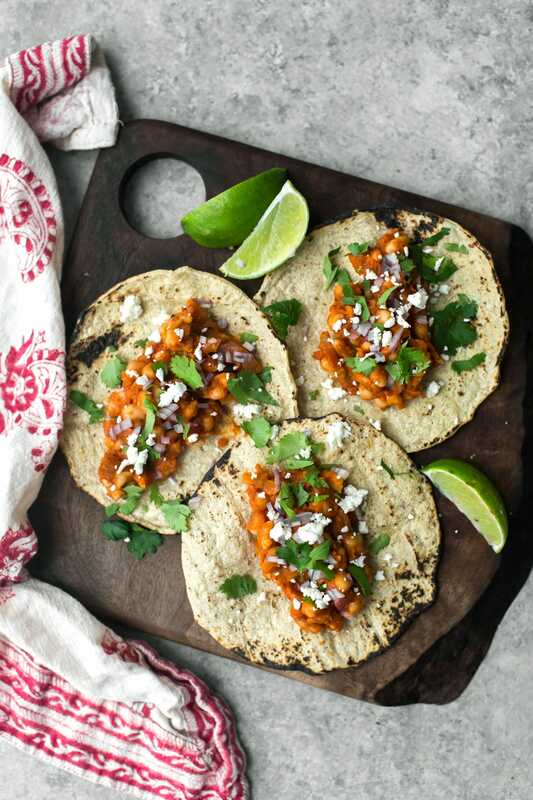 Warm the corn tortillas and assemble with a couple spoonfuls of the bean mixture, fresh cilantro, cheese, and minced red onion. Tips & Tricks: Can’t find Mexican oregano? Italian oregano will work. 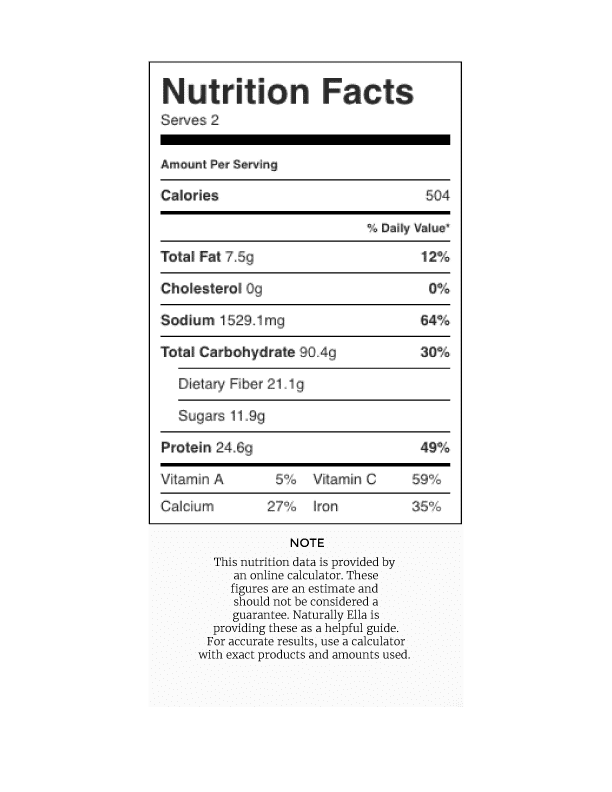 The bean mixtures makes a little more filling than needed for 4 tacos. You could easily serve one (if not two) more people depending on sides. The leftover beans also make for excellent bean bowls the next day. I like to buy a can of chipotles in adobo sauce and divide the chipotles into ice cube trays to freeze. Once frozen, transfer to a freezer-safe container and pull out the amount of peppers as needed! Vegetables: Add your favorite grilled or roasted vegetables to the tacos. These white bean tacos also work well with fresh avocado on top! 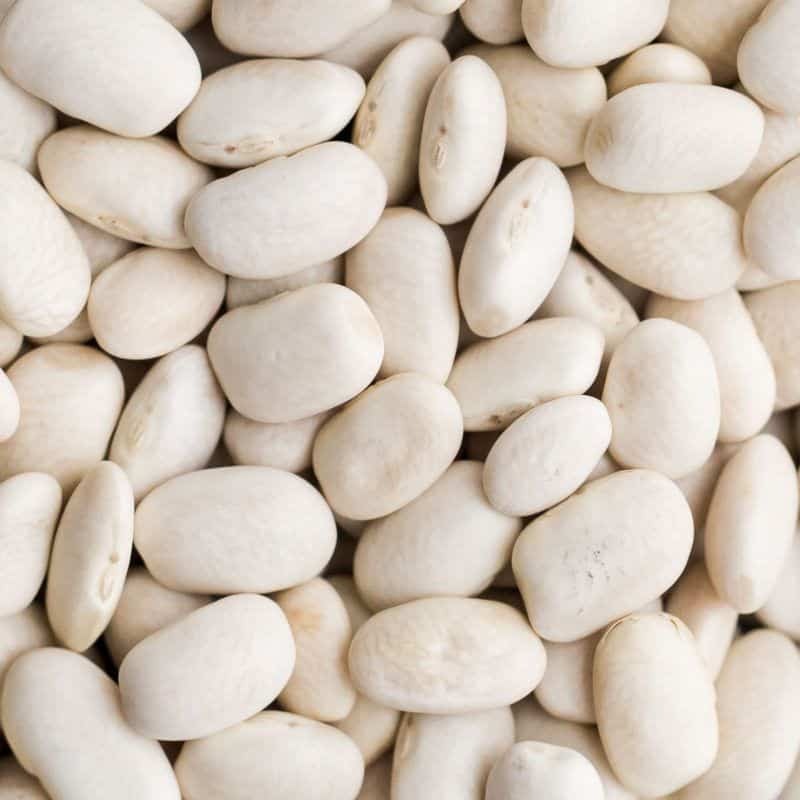 Legumes: Swap out white beans for black beans or green/brown lentils. I also like to use sprouted legumes in this recipe. 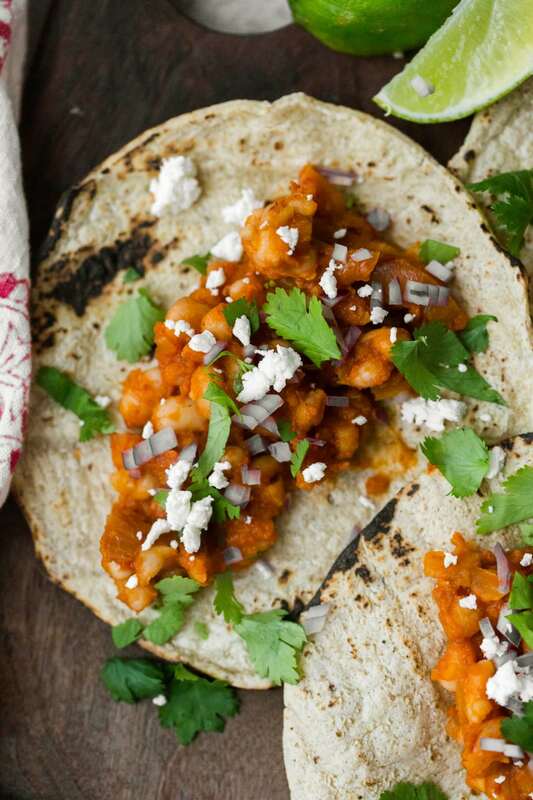 Non-spicy: These tacos are fairly spicy. If you’re not a fan of spice, drop the chipotles from the sauce and add a teaspoon or two of smoked paprika. Quesadilla: Spread leftover beans in a quesadilla or add on top of a tostada. Grain Bowl: use leftover white beans on top of brown rice, quinoa, or your favorite grain for an easy lunch bowl. These look divine! Taco tuesday is gonna rock next week! Ella. these look so good! Another idea for Taco Tuesday. I will be making these. I also like the variations you provided. As an alumna of said liberal arts college, I will definitely be trying this recipe!